In June 2019, Hotshot will reunite with Ha Sungwoon (who is currently in Wanna One) and make their comeback as a six-member group with a full album. Recently, they made their comeback as a five-member group on November 15th. They released their mini album ‘Early Flowering‘ with title track ‘I Hate You‘. This is not Hotshot‘s first reunion with one of their members. Both Taehyun and Sungwoon competed on the second season of ‘Produce 101‘. Sungwoon finished 11th, thus enabling him to join Wanna One. However, Taehyun ranked 25th overall and joined JBJ. They debuted on October 18th, 2017 and disbanded on April 30th, 2018. He participated in Hotshot‘s most recent comeback. Meanwhile, Sungwoon just made his last comeback with Wanna One on November 19th. They released their album ‘1¹¹=1 (Power of Destiny)’ and title track ‘Spring Breeze‘. The group are set to disband at the end of this year. Even though Wannables will be heartbroken to see the group disbanded, it will be heart warming to see Sungwoon back with his original group. We can say the same for Minhyun, who will likely reunite with NU’EST as well. 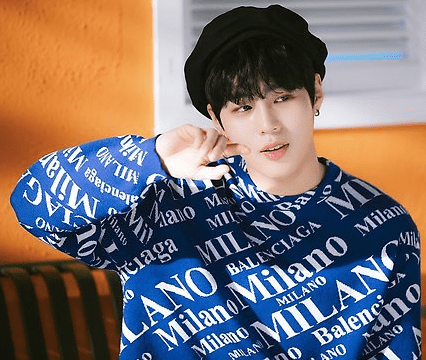 Are you excited to see Sungwoon return to Hotshot next year? Let us know in the comments below.